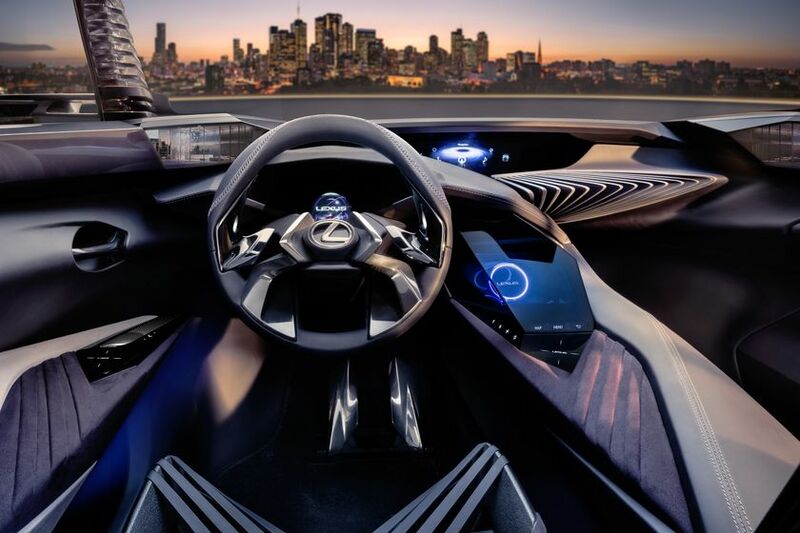 The bold UX Concept design embodies imaginative, forward-thinking technologies to provide occupants with a fully immersive experience. All on-board HMI technology has been designed to offer progressive customers who live and work in an ever-connected environment an innovative, three-dimensional driver experience. The driver's instrument binnacle houses a transparent globe, floating in the manner of a hologram, in which a combination of analogue and digital information express a functional yet unexpected user interface. And the centre console features a prominent, facetted crystal structure within which a hologram-style display of air-conditioning and infotainment system is clearly visible to both driver and front passenger.